While I was walking through a valley in Hinterglemm there was a certain whirr in the sky. 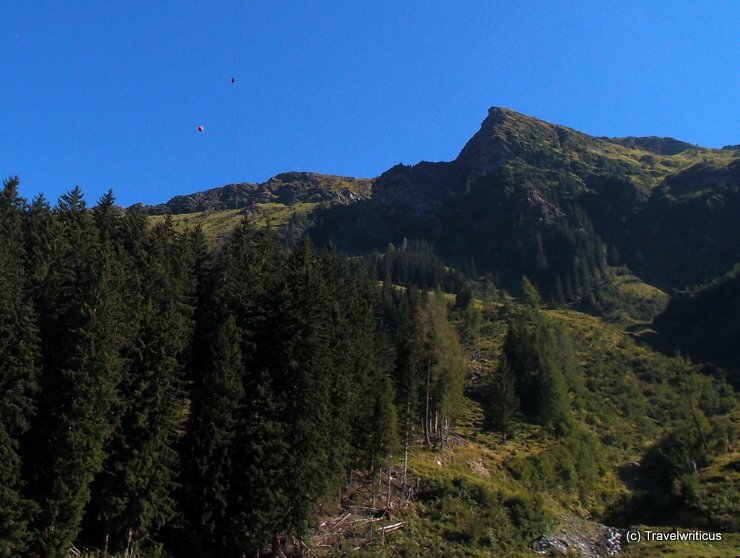 People crossed on a high rope course in 100+ meters high the valley. Though the people dashed down the rope on high-speed I tried to take a photo. Can you see the person near the warning element for planes? Can you imagine to do the same in this scenery? 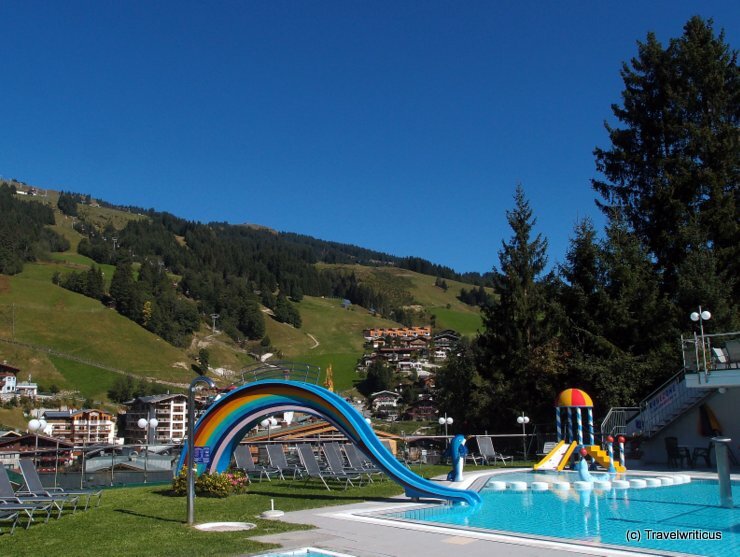 The hotel is placed near the centre of Saalbach. The owner is not only a good chef but also a good teacher in painting. The hotel offers packages for people who are interested in to improve their skills in painting. 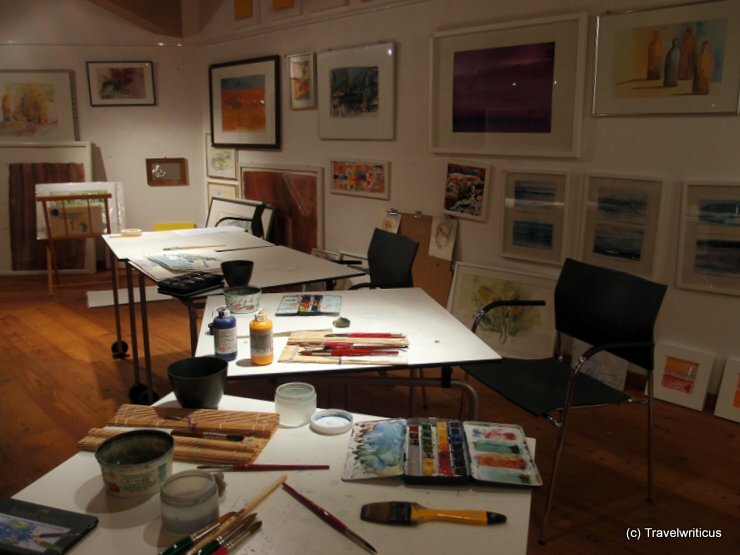 The classes take place in a dedicated atelier next to the hotel. Mural dating back to 1810 seen in Saalbach, Austria. 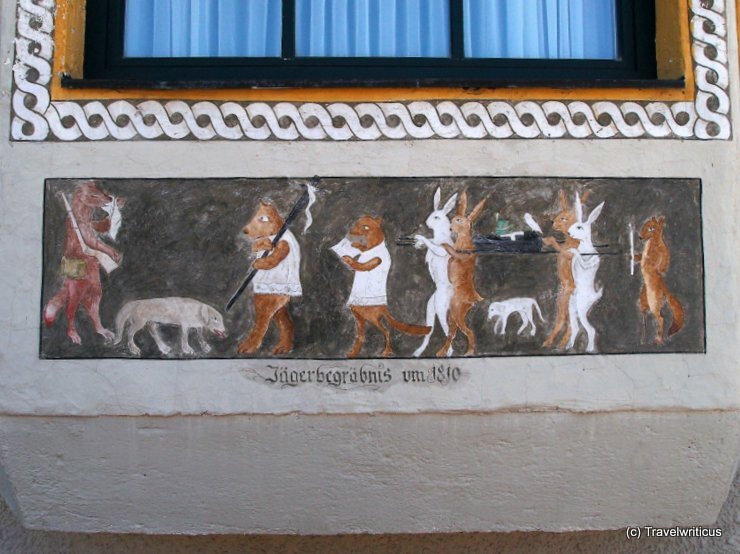 The mural is named Jägerbegräbnis and shows an odd funeral procession. The body in the coffin is a hunter (german: ‘Jäger’), the mourners of the funeral (german: ‘Begräbnis’) are animals. Have you ever seen such a mural or painting elsewhere?